Aaron Van de Kemp of Cleanline Automotive in Invermere, B.C., has an elaborate means of keeping track of volumes and kinds of oil on hand. There was a time when stocking oil was simple. But when carmakers began their quest for better fuel economy, they started to rethink everything about their products… including the oil they use. Highly specialized formulations are constantly in development, designed for use on specific vehicles. Just look at how the standard grade has moved from 10W30 only a few years ago, down to 0W20, to even lower viscosities on the horizon like 0W16 and 0W8. Motor oil must precisely match the engine in question. Putting in the wrong oil would be like installing an ill-fitting component, risking severe engine damage. 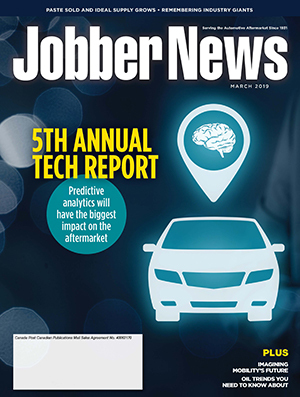 This has huge implications for the average aftermarket shop, where multiple models of multiple vehicle brands are serviced. Here are just three emerging strategies for dealing with that challenge. Just keeping on top of what specifications and viscosities are needed on modern vehicles can be a challenge. 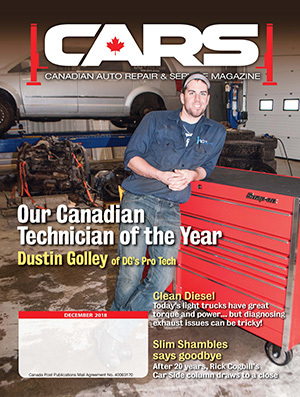 Some oil companies have devised apps that help technicians keep it all straight. Some apps are designed specifically for the professional user, offering an enormous database at the touch of a button. Resources include a wealth of vehicle-specific data. Liqui Moly, for example, has completely revised its mobile app, offering all available information on the right motor oil for a particular vehicle. Users simply enter the brand, model and engine type to find out which oil to select. The app also provides details of the other operating liquids the vehicle requires, such as oil for the transmission and power steering, brake fluid and antifreeze. According to Harry Hartkorn, head of application technology for Liqui Moly, the app is a valuable resources in busy shops. Oil companies have addressed SKU proliferation with increasingly elaborate dispensing systems, designed to help shops keep track of what’s on hand, and make it easy to install the right oil in crank cases. Chevron’s PitPack dispensing system offers operational efficiencies and environmental benefits. Typically, the systems consist of a number of oil containers that are neatly stacked or organized, and clearly marked for easy identification. They’re especially useful in shops with limited room for more bulk oil containers. 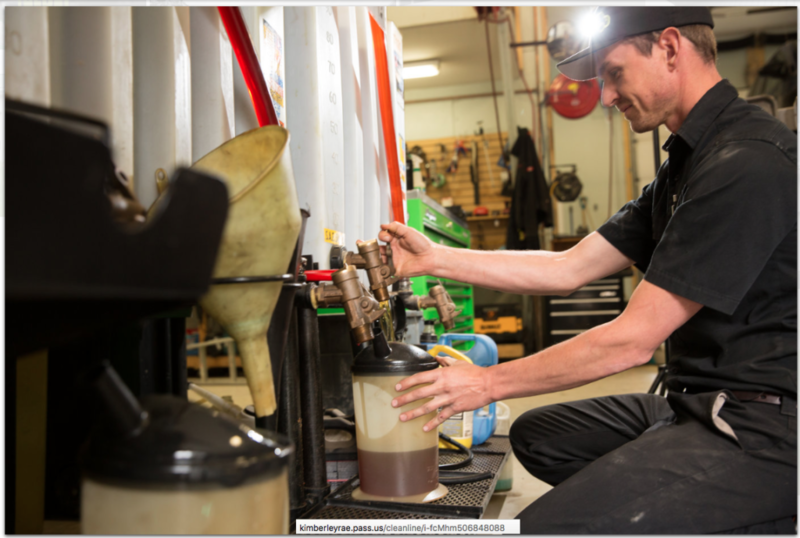 Chevron’s PitPack dispensing system, for example, was designed as a way to stock multiple oil lines while improving shop efficiency and reduce packaging waste. According to the company, it can reduce landfill waste by up to 89 percent by using six-gallon (23-liter) plastic bags and recyclable corrugate boxes of motor oil rather than individual plastic quart bottles. 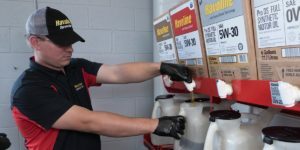 At the product’s launch, Dave Schletewitz, the brand manager for Havoline North America at Chevron, said the PitPack system can deliver significant operational efficiencies, at a lower cost than dealing with quart packages, all with strong environmental benefits. “It’s a win-win for businesses looking to improve profits, efficiency and their environmental stewardship – and a win for consumers who want to spend their dollars with businesses that are committed to reducing waste in their community,” he said. 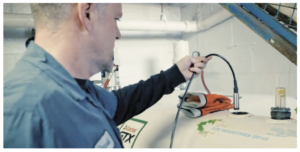 Still a great option for most shops, bulk storage tanks are also evolving with the times. Think Tank allows Wakefield Canada to ‘ping’ its customers’ bulk oil tanks and use that information too replenish stock in an efficient and cost-effective way. 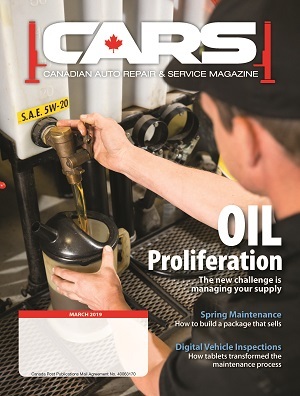 Wakefield Canada, for example, has launched a unique management tool for use with Castrol bulk oil. It is offering remote electronic wireless tank monitoring so shop owners can know how much they have on hand of any given oil type. According to Hutchison, the Wakefield ThinkTank system takes electronic readings through a remote bulk tank sensor every day. As automotive technology continues to develop, it is likely shops will face even more motor oil differentiation. 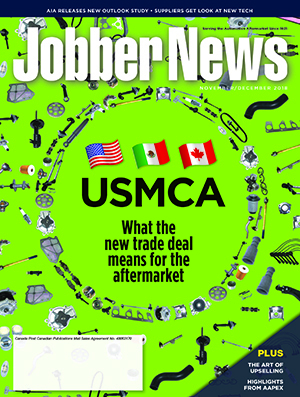 Modern solutions are meant to help repair professionals manage the growing number of premium products available to them. Repair shops are facing increasing SKU complexity with a growing count of oil grades and formulations that must be on-hand in sufficient quantities. Oil companies are working to simplify things for technicians.